The Caspian Sea is classed as the biggest enclosed area of water on the planet. Many class it as the largest lake in the world, while others maintain that it is an ocean. The sea is located between Europe and Asia, and, as a result, laps at the borders of many different nations. The Caspian Sea lies 28 meters below sea level and is situated to the east of the Caucasus mountains. There are actually five countries that border the Caspian Sea, and we’re going to look at each of these below. They are nations full of wonder, magic, and cultural variety, and countries we urge you to discover as soon as you can. Bridging the gap between Europe and Asia, the Caspian has over 130 rivers that flow into it! Here are the nations that surround the Caspian Sea. The Republic of Azerbaijan is a Eurasian country that borders Russia to the north and kisses the Caspian Sea to the East. Most of us know Azerbaijan’s crowning achievement as winning the Eurovision Song Contest in 2011, but there’s more to the country than this! It’s the land of fire, and it’s rooted in folklore and superstition, and has even recently hosted its own Grand Prix. 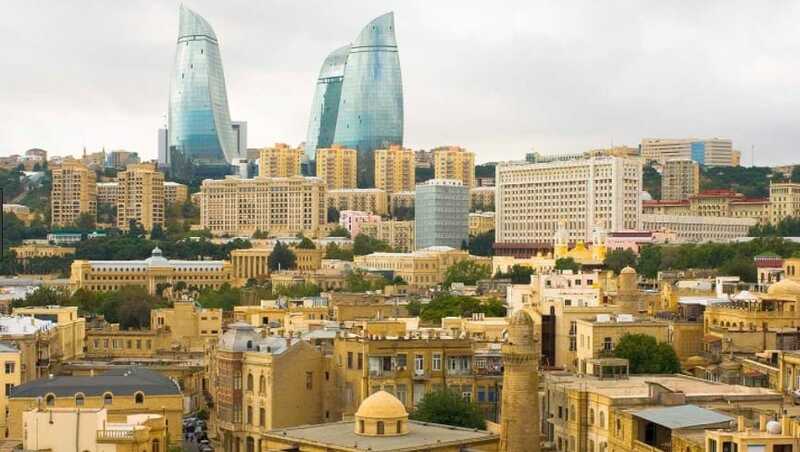 Iran is a more well-known country than Azerbaijan, but traditionally for the wrong reasons. Way back when, the country was called Persia, and developed greatly during the peak of the silk road. In recent times Iran has been plagued by war, notably the Iran-Iraq War, and has a tumultuous relationship with Iraq. Not many people know much about Turkmenistan, and that’s a shame because there is a lot on offer in this great country. Namely, it is home to some truly stunning archaeological ruins, particularly those located in the city of Merv, once an integral part of the Silk Road. Turkmenistan is still a fairly repressive country, however, it has become a bit more progressive in recent years. What is there to say about Russia that we don’t already know? One of the biggest superpowers in global politics and economics, Russia rose from the ashes of the fallen Soviet Union. They are a progressive and developed nation full of pioneers in many different fields. Whatever you think about their involvement in world politics, it’s clear that Russia is a big player on a global stage. More recently, most people know Kazakhstan as the basis for Sacha Baron Cohen’s cult comedy classic Borat. In reality, Kazakhstan is much more than this. A former Soviet republic, Kazakhstan is a nation of supreme natural beauty, specifically the Altai Mountains. There is also some stunning architecture here, and it’s a country everyone should visit and experience. These are the countries that surround and border the Caspian Sea. Because of its landlocked nature, the sea is one of the most fascinating on Earth. It also plays a big role in the thriving landscape of many of these countries. The Caspian Sea is the one place where Europe and Asia collide together, and we suggest you check out these nations.